Interpersonal Intelligence research papers examine one of the areas covered by Howard Gardner’s Theory of Multiple Intelligences. One of the areas covered by Howard Gardner’s Theory of Multiple Intelligences is interpersonal intelligence. 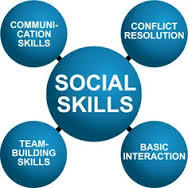 Interpersonal refers to the individual’s ability to interact with others. Those people gifted in this area are said to be highly sensitive to the moods and needs of others and are able to get along well with others in group situations. Paper Masters can compose a custom written research paper on Interpersonal Intelligence that follows your guidelines. Explain the principles and misconceptions in effective interpersonal intelligence. Identify the barriers to effective interpersonal interactions. Describe the process by which self-concept is developed and maintained. Assess their personal intelligences and improve their communication perspectives. Develop strategies for active, critical, and empathic listening as part of interpersonal intelligence. Recognize how words have the power to create and affect attitudes, behavior, and perception. Understand how perceptions, emotions, and nonverbal expression affect interpersonal intelligence assessment. Define emotional intelligence and its role in effective interpersonal intelligence. Evaluate appropriate levels of self-disclosure in relationships. Describe strategies for managing interpersonal conflicts. Recognize how self-concept and defensive and supportive messages and behaviors create positive and negative communication climates. Understand the impact of gender and culture on interpersonal intelligence. Sometimes referred to a “people smarts,” interpersonal intelligence covers strengths in both verbal and nonverbal areas. Such individuals are thought to make effective teachers, social workers or politicians as adults. Individuals with interpersonal intelligence are frequently able to view situations from different point of views. Interpersonal intelligence allows the individual to pick up the feelings of others based on body clues and other nonverbal language. Leadership skills are demonstrated through collaboration and cooperation. In educational settings, individuals with high interpersonal intelligence benefit from different strategies including collaborative projects, role-play, discussion, and allowing students to choose the makeup of their own groups. Chat technologies are highly beneficial to this group in that it allows for instantaneous communication with others. Interpersonal intelligence is characteristic of natural leaders and is a function of those with a “winning” personality. Collaborative Teaching - There are various models of collaborative teaching, but all consist of two or more teachers sharing in various ways the teaching of a subject or subjects. Small Group Instruction - Small group instruction can be seen in a variety of different learning environments. Howard Gardner and Educational Theory research papers analyze multiple intelligences and their use in education theory. Analysis of a Models/Philosophical Statement Research Papers discuss an order placed on an analysis of Tom Lickona's approach to character education. Intelligence Quotient research papers discuss how the IQ is used to determine the intelligence of an individual and help identify special needs in learners. Existential Intelligence term papers examine the latest category to emerge from Howard Gardner’s theory of multiple intelligences. Intrapersonal Intelligence research papers examine a part of Howard Gardner’s multiple intelligences theory that involves one's ability to self reflect. Kinesthetic Intelligence research papers examine one of the multiple intelligences categories developed by Howard Gardner. Paper Masters writes custom research papers on Interpersonal Intelligence and examine one of the areas covered by Howard Gardner’s Theory of Multiple Intelligences.